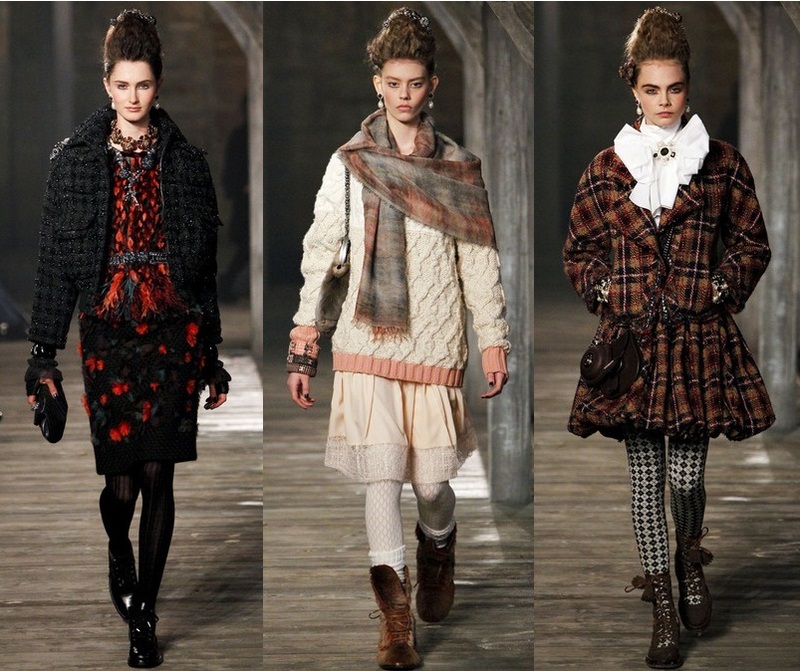 A few days ago Karl Lagerfeld presented his pre-fall 2013 collection for Chanel. The entire collection is seen dominance Scotland cubes - the Scottish tradition. We could see chiffon, lace, tweeds, languid knits, patchwork atc. I love hats and I wore tham often, so to see it in that collection is a big pleasure for me. A final passage was of white wool gowns touched with lace. Have a nice Saturday. Pred pár dňami Karl Lagerfeld odprezentoval svoju kolekciu na jeseň 2013 pre Chanel. V celej kolekcii je vidieť dominanciu škótskej kocky - škótska tradícia. Môžeme vidieť materiál ako šifón, čipku, tvíd, úplety, patchwork a mnohé ďalšie. Mám veľmi rada klobúky, nosím ich často, a tak ma potešilo, že sa stále budú nosiť. Záverečná časť kolekcie bola biela vlna s čipkou. Želám vám krásnu sobotu. Thanks for visiting my blog. Yes, we can follow to each other! It seems to me he's mixed all types of textile there) But it looks really interesting! Would u like to follow each other. 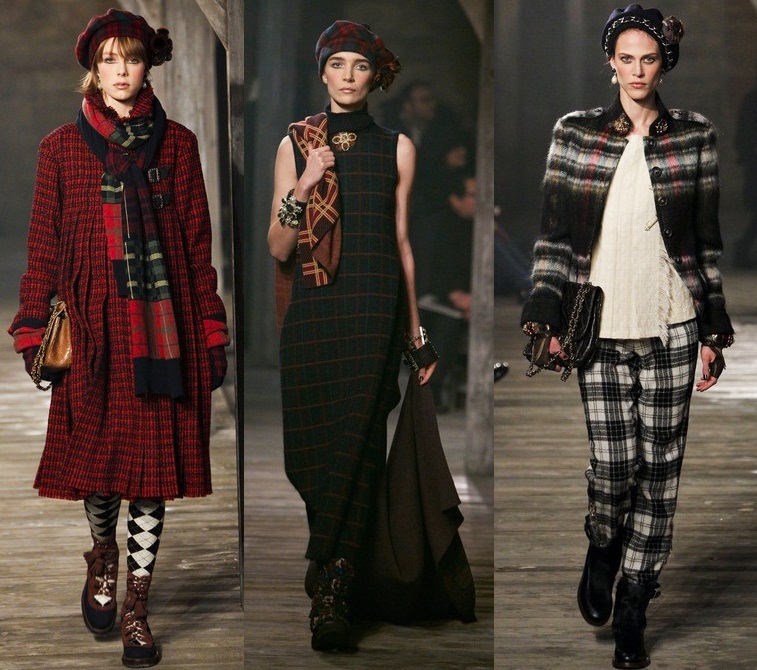 I love the Scottish style, but I think Chanel took it a bit too far this time! some of these outfit are just too much. I luv this trend and your blog is so fab! As usual, it's an amazing collection ! I was just watching this show on my computer. Amazing collection and setting! I really love this collection so much!! I was wondering if you would like to follow each other on GFC and Bloglovin? karl Lagerfeld is a pure fashion genius! Cute very nice post! I love the coats and sweaters for winter 2012 this year! Would you like to follow each other? Nice post, lke you, I love this collections and I think these looks with scotland prints are awesome! i love this collection and where it was shown! loving the coat on the top right! You have such a cool style and I love these inspirational Chanel photos. Stunning! I love Chanel! Would u like to follow each other?